The second generation of Pokemon provided many firsts in my gaming career. It was the first game I begged my mom to pre-order, and it was the first game I got the first day it came out. My brother got the Silver version, and I got to play the Gold version originally. The way our system worked was that after every time we would beat the game, we would end up switching versions. It happened only once, but the idea was good. The starting area New Bark Town in it’s original glory. This is the Pokemon generation I enjoy the most. 100 new Pokemon were introduced, and the time leading up to its release I tried to study each new beast individually. After months of build-up, I finally got to play the game after picking it up at the Wal-Mart on Lincoln Highway in Lancaster, PA. With Game Boy in tow, I popped that baby in during the drive home and that’s all she wrote. My first experience playing through the game was great. There were new Pokemon to catch, a new world to explore, and new in game music to enjoy. This generation also featured a day/night cycle which I thought was the greatest thing to happen on planet Earth at the time. My first Pokemon of choice was Cyndaquil who aided me on my catching journey. The hours were long and the battles were intense, but I pulled off the feat of beating the game. After beating the Elite Four in the Johto region, players got to go back to the original Red and Blue region and fight for 8 more badges from the original leaders: pure genius. I put a lot of hours into that game as a child and teenager, all the way up until my high school days. After Gold and Silver my interest in Pokemon pretty much ended. 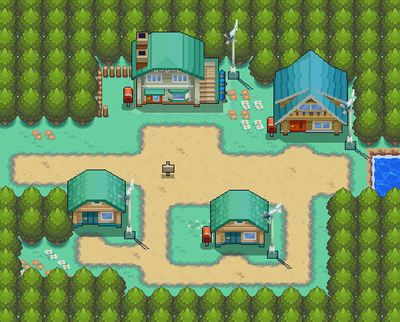 I didn’t get into the Ruby and Sapphire versions that debuted on the Game Boy Advance, and I played the Diamond and Pearl versions for a little during college. My friend Mark and I like to re-play the original Blue and Red versions on emulators, and I tend to throw a little Silver in there once in awhile. New Bark Town circa 2010. 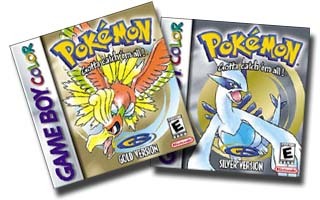 Towards the end of the DS life cycle, Nintendo released Pokemon HeartGold and SoulSilver for the system in 2010. I’m currently playing through that game and while the game is updated with some changes, the feel and style of the game remains the same. 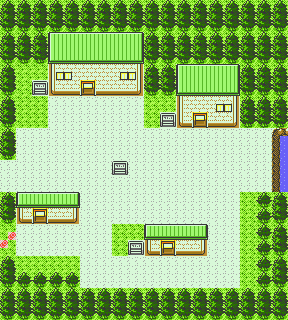 Gold and Silver will always be my favorite generation of the game, and I’ll continue to go back to it every now and then. That game is a part of my childhood. Glad to know that you feel the same. So many great memories! Soul Silver has been pretty awesome so far too. 🙂 I was waiting for that game forever.